Call 216-898-9951 for reserving specials or Contact Us. Please check back often for new specials. Looking for savings when you stay just 2 nights at the Island Club? Choose this deal and you get 30% off 3-bedroom Island Club Home which sleeps up to 8 people and $20 off per day golf cart rental voucher. 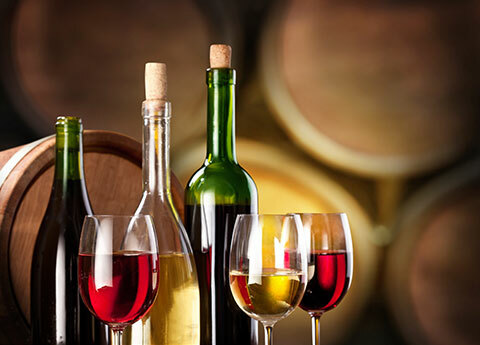 This deal matches our Living Social Deal for 30% off retail price! So instead of paying $630, you only pay $410. Use Promo Code "HOTSUMMER" when making your reservation. Call 216-898-9951 for reserving specials, Contact Us, or Book Online using the Promo Code above. Please check back often for new specials. There are many ways to get to Put-in-Bay... drive, bike, fly, boat. But all ways have one thing in common... when you get to the island, you need to know what house to go to! Here, we have collected all the maps you need to view in order to get to the island, and find yoru rental home. 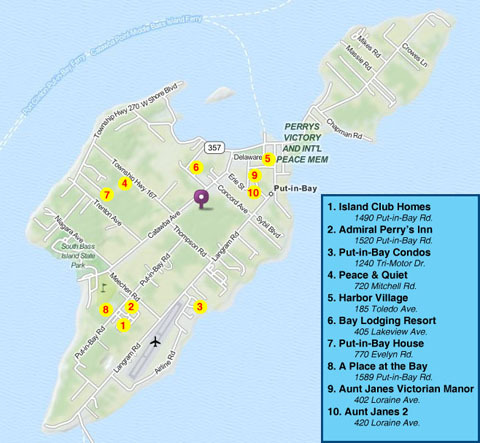 here are 73 homes in the Island Club on Put in Bay. Most of the homes homes are 3 bedroom two bath and sleep up to eight people, a few are larger 3 bedrooms with accommodations up to ten people, and three homes are very large four bedroom two bath homes that sleep up to 12 people. The links below will take you on a tour from the entrance of the Island Club, inside the homes and around the streets and yards of the most popular Put in Bay Cottage Rentals. Our office hours are 9-5pm daily. Reservations will be taken by phone at 216-898-9951 or 24 hours at https://www.islandclub.com/booking/results.cfm. Our knowledgeable staff will be awaiting your call to help you create the perfect vacation with one of our vacation rental homes. 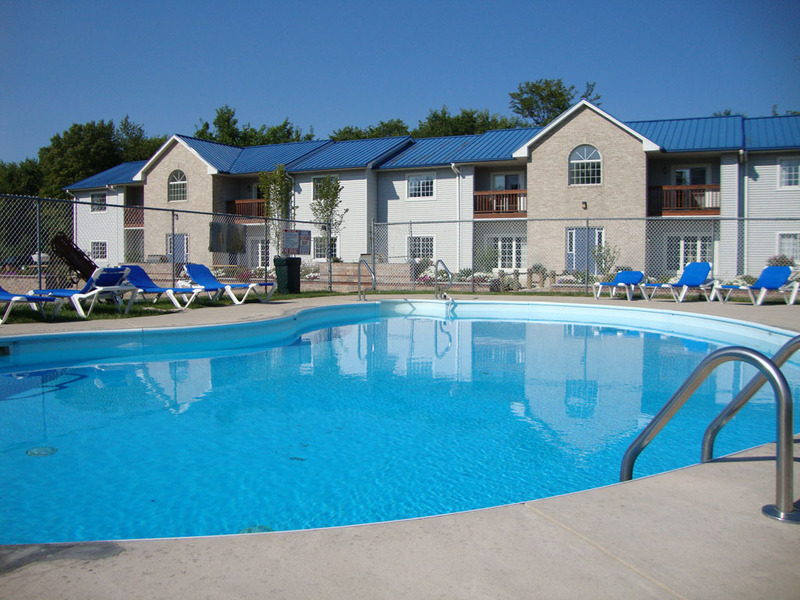 Click below to read our main rental policies. 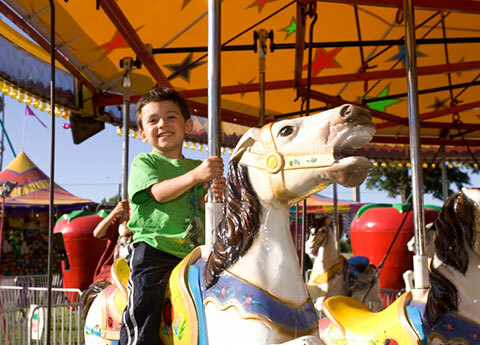 Many fun and exciting events are scheduled for Put-in-Bay 2019. Review the schedule of events where every weekend at Put in Bay is a new reason to have fun! Special events at Put in Bay start in April and run thru late October on the island. 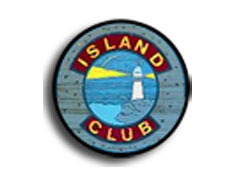 Island Club Rentals has access to almost 100 homes and cottages and can help you with Bed and Breakfasts, Hotels, and more. 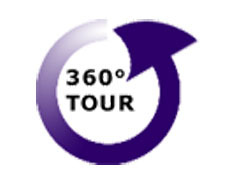 We want to help you find the right accommodations for your group. Put in Bay Ohio offers travelers many options for a relaxing vacation. 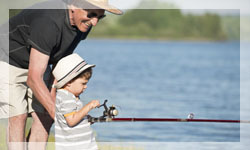 Put-in-Bay's most frequently asked questions may be found here along with the answers. If your questions are not answered here, just e-mail us below! 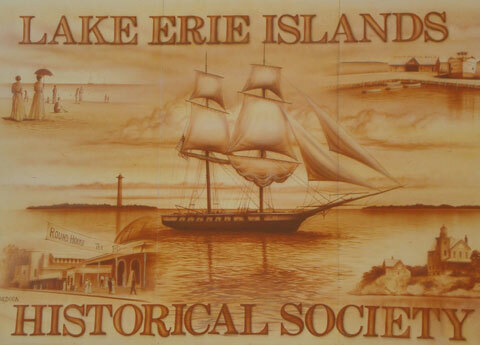 Although it is on a small island, Put-in-Bay is Lake Erie's largest resort destination. Once primarily a day trip mecca, Putinbay has now grown to include a huge variety of activities and tours with guests staying a week or mor ein our luxurious hotels and home rentals. 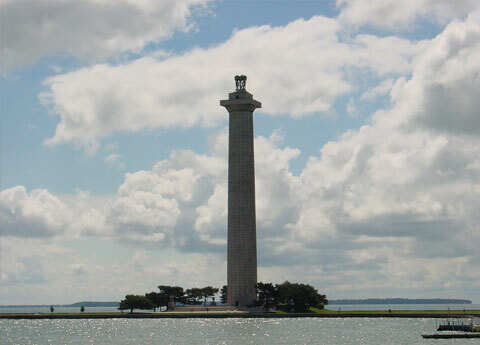 Of course, despite all the new attractions, the # 1 draw to Put-in-Bay is still its historic Perry's Monument and International Peace Memorial. Shopping in Put-in-Bay reflects the unique charm and laid-back atmosphere that defines South Bass Island. Strolling along our quaint streets, you'll find a wide variety of specialty shops, offering everything from resort-style clothing to unique gift items. With more than 30 retailers, the options are virtually endless. Discount stores, national and international retailers, local boutiques, furniture galleries, designer shops, specialty stores, high-end, discount - every kind of shopping in one great place - Put in Bay Ohio! We are always ready to assist if you need more information!